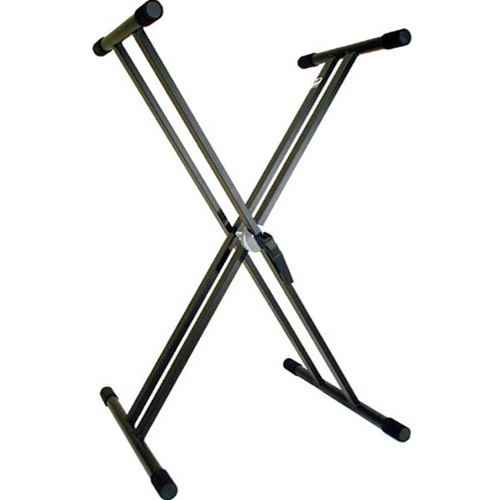 X-style keyboard stand with adjustable height, double braced construction and non-slip support tiers and feet. Easy adjustable lever lock system. Black finish.